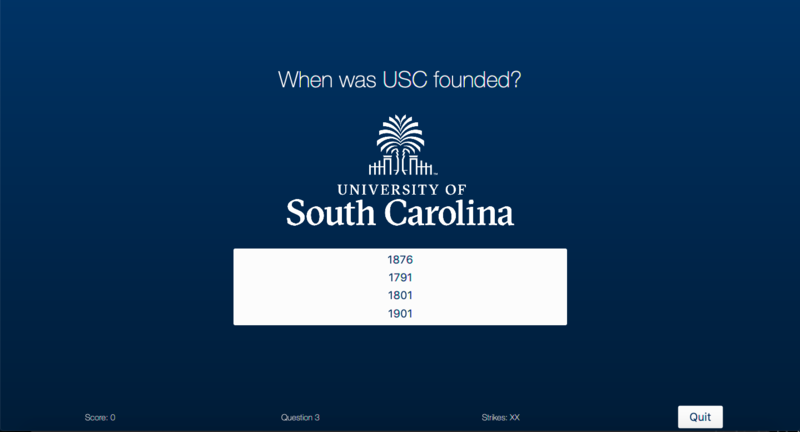 This project aims to create a trivia game used for the South Carolina State Museum. 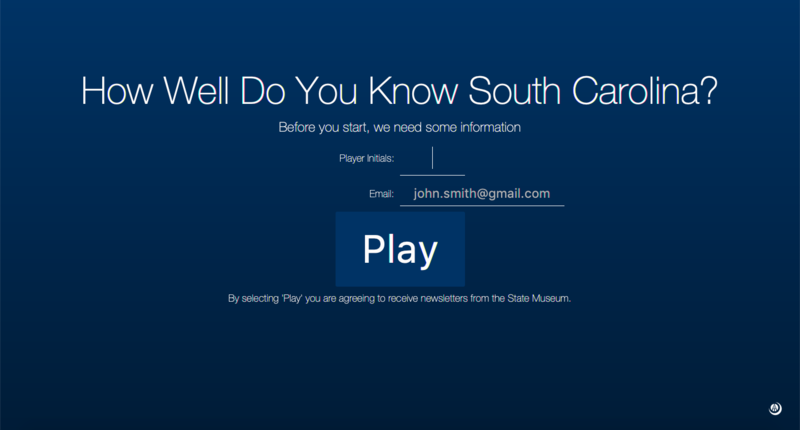 The museum intends for the trivia game to implore guests about their knowledge of South Carolina. 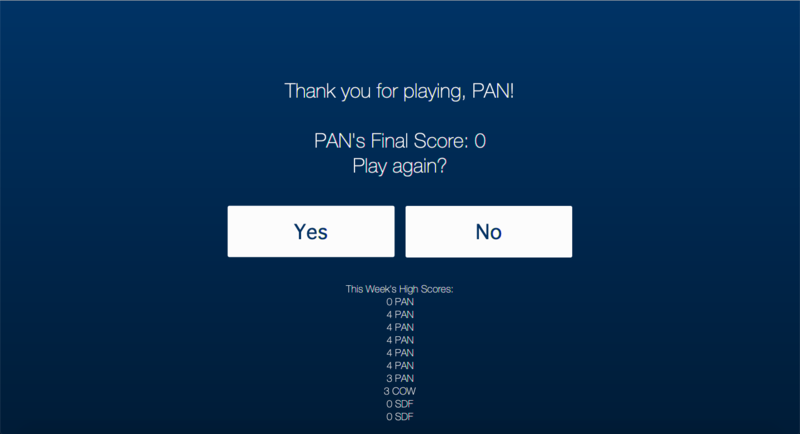 Phoebe Ngo, Michael Cantwell, Lauren Nix, Nicholas Gause, Jacob Cox. Doug Beermann. Director of Operations. 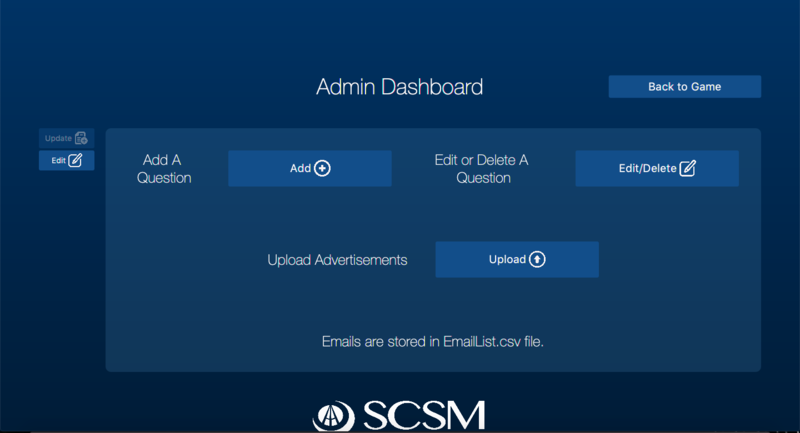 South Carolina State Museum.